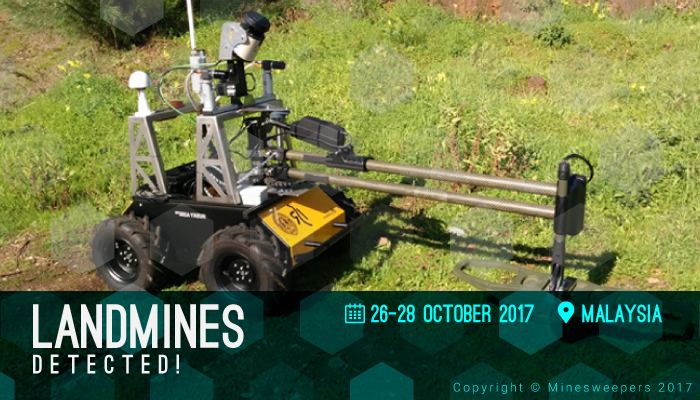 In order to foster robotics research and its applications in the area of humanitarian demining in the world, the IEEE Robotics and Automation Society – Egypt Chapter (2015 IEEE RAS Chapter of the Year Award and 2012 Chapter of the Year in IEEE Region 8) initiated in 2012 Minesweepers: Towards a Landmine-free World as the first international outdoor robotic competition on humanitarian demining. 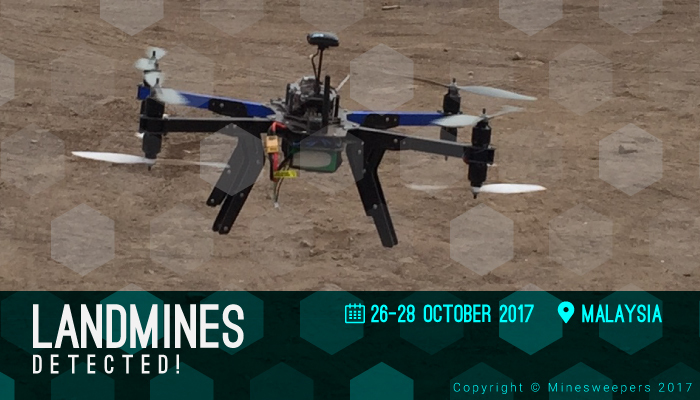 It aims at raising the public awareness of the seriousness of the landmines and UXOs contamination and the role of science and technology in solving this problem and motivates professors, engineers and students working on innovative solutions for this serious problem. 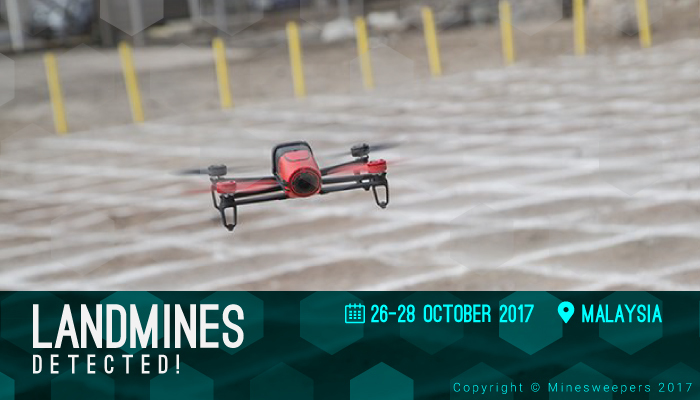 In this competition, each participating team constructs a teleoperated/autonomous unmanned ground/aerial vehicle that must be able to search for underground and aboveground anti-personnel landmines and UXOs.The position and the type of each detected object are visualized and overlaid on the minefield map. 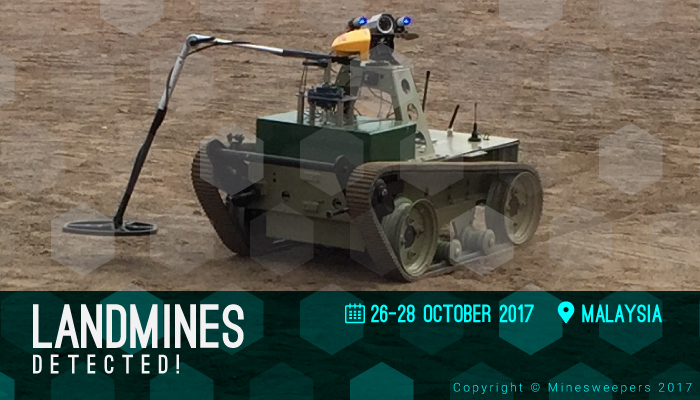 The robot must be able to navigate through rough terrain that mimics a real minefield. 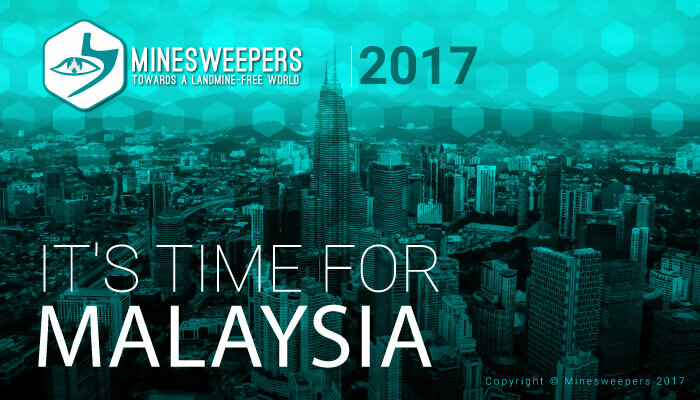 The 6th edition of Minesweepers: Towards a Landmine-free World is organized by IEEE Robotics and Automation Society (RAS) in cooperation with Malaysia IslamicUniversity from 26 to 28 October in Malaysia, also the 7th edition will be organized in cooperation with Madrid university and it will be in conjunction with IROS 2018 from 1 to 5 October 2018. Latin America regional round will be orgnaized by La Salle University - Bolivia and Universidad Mayor de San Andrés from 14 to 15 September 2017, in La Paz, Bolivia. The competition is organized in collaboration with IEEE RAS Egypt Chapter and Hadath for Innovation and Entrepreneurship. The competition is organized under the auspices of IEEE RAS Special Interest Group on Humanitarian Technology (RAS-SIGHT). 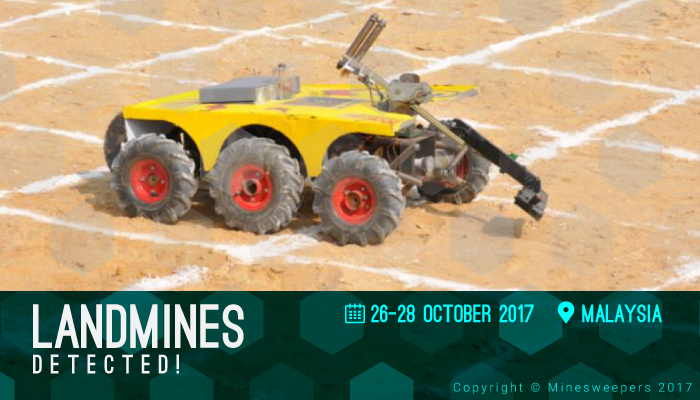 It is supported by Canadian Landmine Foundation, Executive Secretariat for the Demining & Development of the North West Coast, Mines Action & Human Rights Foundation and Protection against Armaments & Consequences and African Robotics Network (AFRON).